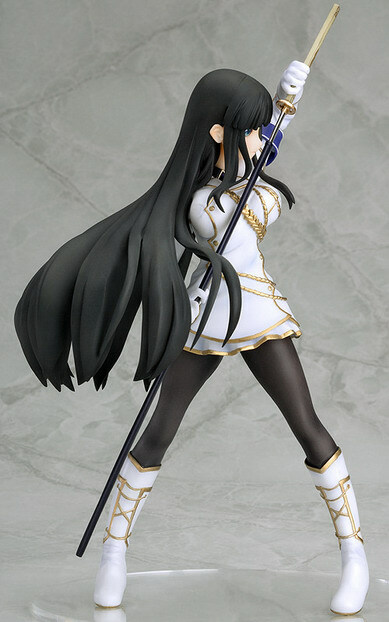 September 21st, 2012 By: GGT Category: 2013/02 release, Figure News. Phat! 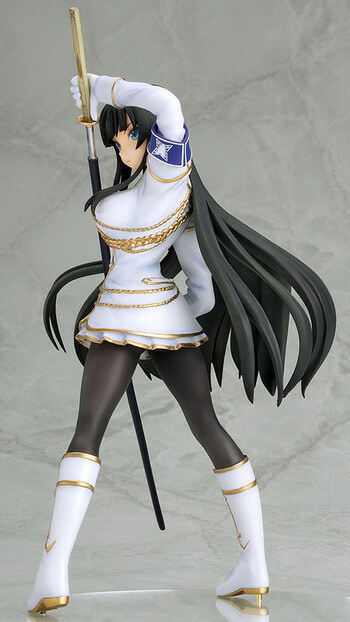 company is going to release the Ikaruga ( 斑鳩 ) 1/8 PVC figure from the 3DS game “Senran Kagura: Portrait of the Girls” ( 閃乱カグラ　-少女達の真影- ). Will be released in February 2013. 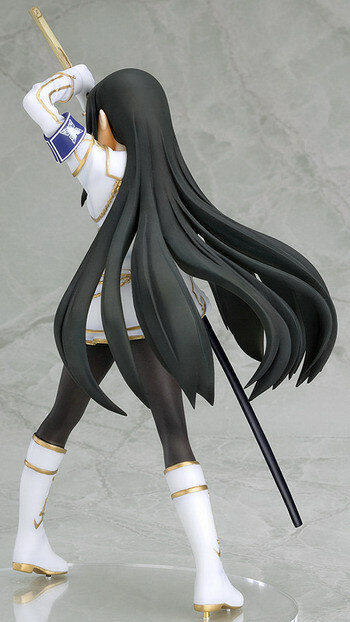 Around 200mm tall, 7,429 yen. After Phat announced the Hibari, I thought they would take the Katsuragi from Ringo Renmei again and release her afterward. But instead, they’re making their own Ikaruga! The top student and class representative! 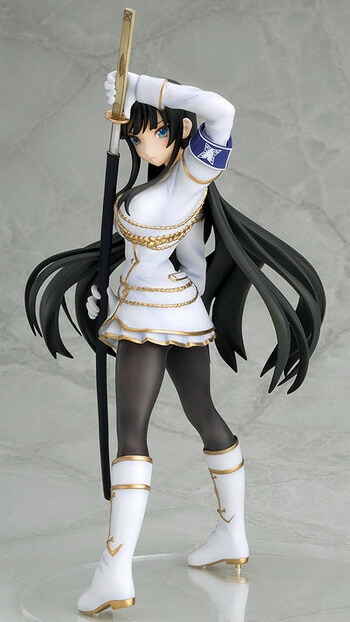 From the Nintendo 3DS exclusive game, ‘Senran Kagura -Shoujotachi no Jinei-‘ comes a 1/8th scale figure of Hanzou Academy’s 3rd year student, Ikaruga. She is standing in a valiant pose with a serious expression across her face, leaving her looking calm and collected as she draws her treasured sword, ‘Hien’. 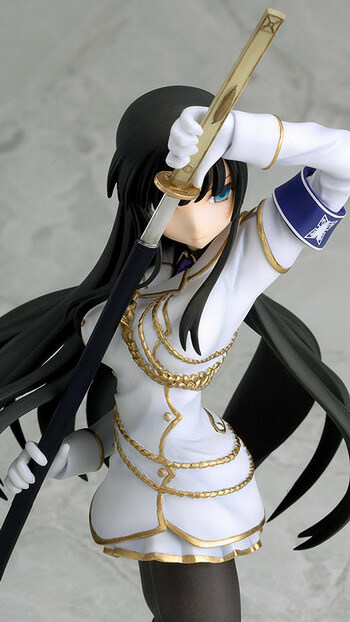 Her unique outfit has also been sculpted and painted with great care to detail that fans of the series are sure to appreciate! 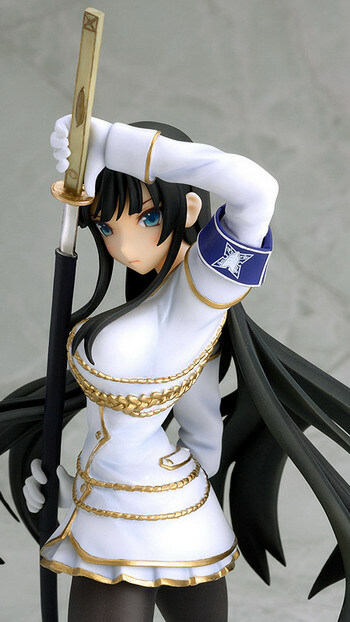 Be sure to display her together with the previously announced Hibari figure!